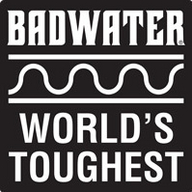 AdventureCORPS®, Inc. is an athlete-run firm producing and promoting the world's toughest races and the world's toughest brand, BADWATER®. Adventure is our way of life. AdventureCORPS' world-class events for athlete-adventurers include epic races such as BADWATER® Cape Fear in March, BADWATER® Salton Sea in May, Badwater® 135 in July, The 308™ in May, and Silver State 508™ in October, plus CORPSCamp™ Santa Monica Mountains in February, Death Valley Century, Ultra Century, & Double Century™ (Spring and Fall editions), and other events. Our products include Badwater® Apparel, Badwater® Skin Care, Badwater® Gear, as well as other great lifestyle items and services. Founded in 1984 by Chris Kostman, this group effort is dedicated to exploring the inner and outer universes, seeking adventure, energy, and insight both in daily life and "out there." Please join us!